Likeoffice dll is written for developers of .Net or VB6 who work with Microsoft Reporting Services. The dll file allows you to easily export any report to pdf format. Likeoffice dll is written for developers of .Net or VB6 who work with Microsoft Reporting Services. The dll file allows you to easily export any report to the following format: pdf, xls, csv, tif, mhtml and xml without opening the Reporting Services. All you need to do is to add the dll to your project and point the reference to the dll. 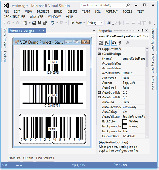 This product creates barcodes in Microsoft Reporting Services as an integrated drag-and-drop Custom Report Item (CRI) control, without the use of barcode fonts. Silverlight Viewer for Reporting Services is the first product on the market which provides the ability to view Reporting Services reports in Silverlight applications. This drag-and-drop Custom Report Item CRI control creates Linear and 2D barcodes in Microsoft Reporting Services, without the use of barcode fonts. Includes installers for Reporting Services SQL Server 2005 and 2008. Nevron Chart for SQL Server Reporting Services (SSRS) is an advanced report item, which delivers a complete set of 2D and 3D charting types, highly customizable axes, tight data integration and unmatched visual effects to your reports. The Exolvo Reporting Services (ERS) module is a recognized, industry standard product which offers state-of-the-art, robust and powerful reporting. The Reporting Services Job Monitor (RSJM) allows you to monitor the status of long running reports in Microsoft Reporting Services or just see who is looking at what reports in real time.